Social Security generally pays out three types of benefits: retirement, disability and Supplemental Security Income, or SSI. To receive the first two, an individual must have paid into the system. SSI is administered by the Social Security Administration but is not paid from payroll taxes, therefore, you do not have to have paid into the system to qualify. Your ex-spouse may be eligible to receive certain of these benefits based on your work record. To receive Social Security Retirement Benefits you must have paid into the system and accumulated 40 credits, which generally amounts to 10 years of work. You can take reduced benefits starting at age 62 or full benefits beginning at full retirement age, which is based on your year of birth. To qualify for Social Security Disability you must have accumulated the required number of credits, based on the age at the time of application, and must be considered totally and permanently disabled for the purposes of Social Security. SSI benefits are available to those who meet Social Security's limited income and resources requirements and who are age 65 or older, blind or disabled. 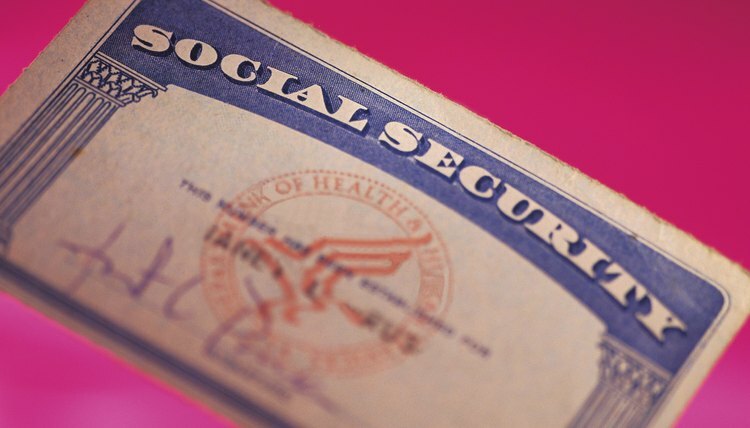 Your ex-spouse may qualify for benefits while you draw Social Security Disability. To do so, the marriage must have lasted at least 10 years. In addition, the ex-spouse must be at least 62 years of age and unmarried. The ex-spouse's benefit amounts to one-half of your benefit,but this does not diminish your benefit in any way, nor does it reduce the benefit of your current spouse if you remarried. Social Security will not pay benefits to an ex-spouse who is eligible for a Social Security benefit that is equal to or higher than your benefit or who is eligible for benefits on the work record of anyone else. The same basic rules apply to the ex-spouse of someone drawing retirement benefits. Social Security calculates disability and retirement benefits with the same formula, based on your history of earnings. If you draw a monthly disability benefit, it simply converts to retirement benefits when you reach the full retirement age. In addition, if a Social Security recipient dies, an ex-spouse can be eligible for benefits at age 60 on the deceased spouse's record. The minimum age falls to 50 if Social Security determines that the ex-spouse is disabled. The same rule about eligibility for a higher benefit applies: if the ex-spouse qualifies for a higher benefit on her own record, she will not qualify for additional benefits on the work record of someone else. SSI benefits are not available to an ex-spouse based on your record. Since eligibility for SSI is based on a means test and not a work record, your ex-spouse could qualify for SSI benefits on her own if she had limited income and resources and was age 65, blind or disabled.